OTTAWA — The abandoned Kapyong Barracks lands could include a daycare, hotel, Indigenous hospice, war museum and gas bar, according to initial renderings of how local First Nations envision the site. Renderings commissioned by Treaty One First Nations show the the 160-acre site could also include sports facilities and mixed-use buildings, in the first detailed proposal to emerge from officials, 14 years after the military vacated the site. 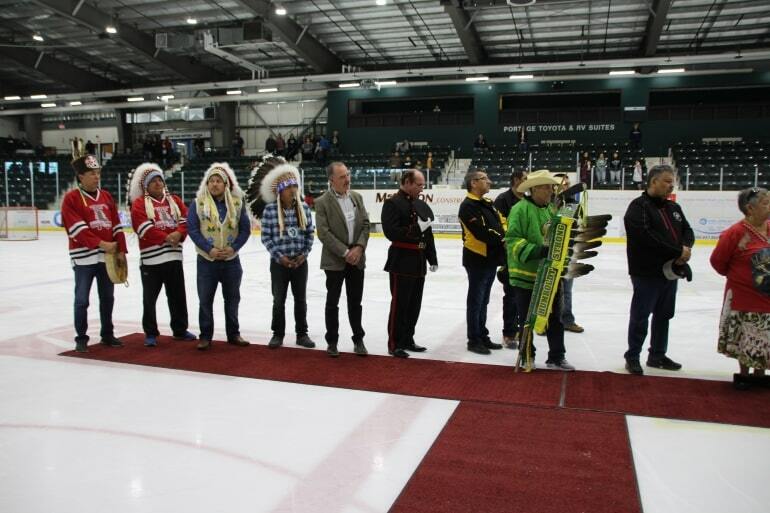 Treaty One presented the renderings Friday at the Aboriginal Chamber of Commerce gala at the RBC Convention Centre. Canada Lands Co. (CLC), the Crown corporation that has helped Ottawa negotiate a deal with all seven local First Nations, confirmed Monday that the renderings came from Treaty One. They show Ottawa’s 50-acre allotment may focus on medium- and low-density residential sites, as well as some mixed-use buildings. Many of CLC’s similar projects elsewhere have included mid-rise apartments with retail or schools on the ground floor. 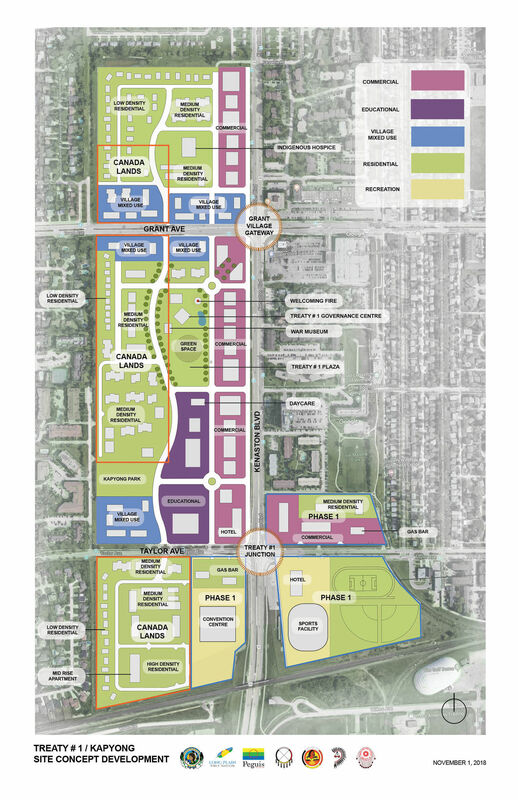 The remainder of the site, which Ottawa intends to transfer to the Treaty One consortium, includes a gathering area and educational site (it is not clear whether this would comprise an elementary school, a college or both), and both indoor and outdoor sports facilities. It is unclear how close to final these renderings are, nor whether they have been approved by Ottawa. 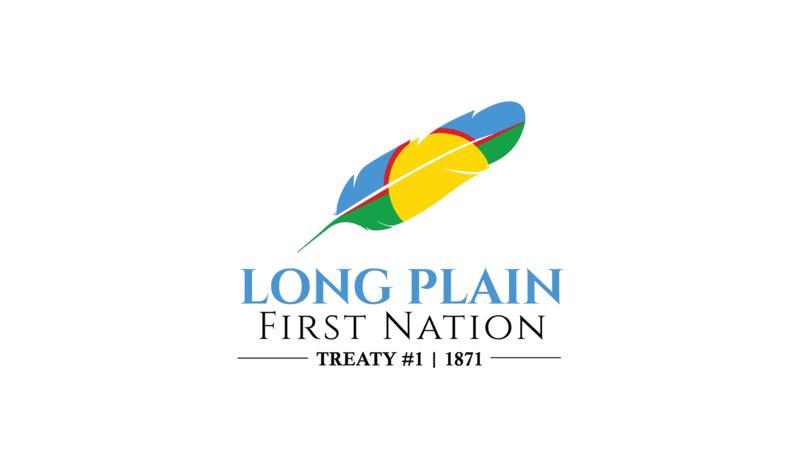 The Free Press has reached out to Long Plain Chief Dennis Meeches, the spokesman for Treaty One. The renderings include a convention centre, but they don’t say whether that includes a casino. Some of the Treaty One chiefs have proposed a casino to bring in revenue for their nations. But residents in nearby Tuxedo have voiced apprehension about garish buildings near high-income neighbourhoods. In any case, the province would need to approve the licence for a casino to operate. In April, Treaty One signed an interim agreement-in-principle with Ottawa to eventually create an urban reserve on the site. It was the first sign of major progress after a years-long court battle. Negotiations are ongoing to officially transfer the bulk of the property to Treaty One. In 2008, Treaty One First Nations sued Ottawa when it tried transferring the land directly to Crown corporations, sparking a drawn-out court battle that the Harper government abandoned in fall 2015. That was followed by highly confidential negations between the Department of National Defence, CLC and Treaty One. Trade Diversification Minister Jim Carr, whose riding includes the Kapyong site, has said his goal is to get the project out of Ottawa’s hands by next fall’s federal election. He has also said any development on the site will have to comply with city bylaws. City officials are proceeding with plans for widening Kenaston Boulevard, something the city was unable to do because the road allowance surrounding Route 90 was ensnared in court battles. Kevin Klein, who was elected last month as councillor for Charleswood-Tuxedo, campaigned on a pledge to have more transparency around the Route 90 project, such as having more public information meetings. There are two existing urban reserves in Winnipeg. Long Plain’s Madison site near Polo Park includes a gas station, Yellowquill College and some local businesses. This summer, Peguis First Nation got that designation for their mixed-use business development at 1075 Portage Ave., which could include a clinic. A signatory to Treaty 1, 1871 (Adhesion Treaty of June 20, 1876) Long Plain First Nation is an Ojibway and Dakota community in the central plains region of Manitoba. The Long Plain population is over 4,500 and is comprised of 3 reserves of which 2 are urban. The urban reserves are situated along the city limits of Portage la Prairie and in the City of Winnipeg. Never miss any Update. Sign Up Today. If you do not receive your confirmation email immediately, please check your Spam.